Featuring an 18’ walk-in body, this rig is designed for both cascade and salvage operations. 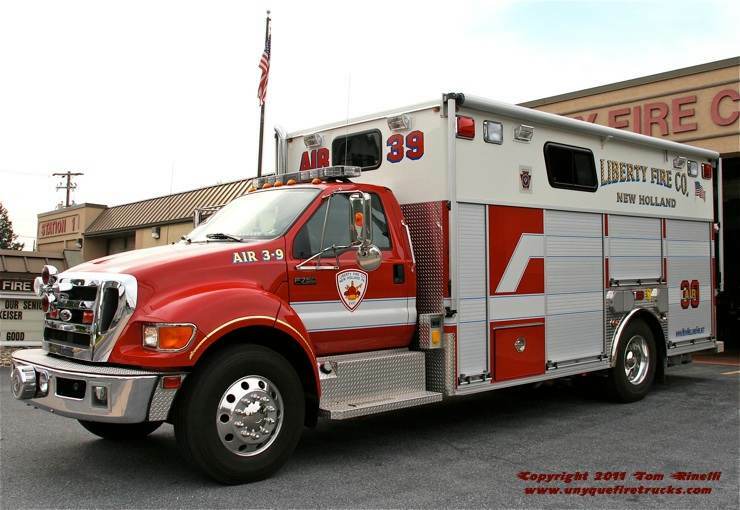 Seating five (4 with SCBA), it features twelve 6,000 PSI cylinders, a Scott Revolv-Air fill station, dual retractable awnings, a multi gas meter, BLS supplies including oxygen, salvage supplies (tarps, floor runners, tar paper, etc. ), an electric PPV fan and smoke ejector as well as a battery powered tool set (impact, drill, reciprocating & circular saws). 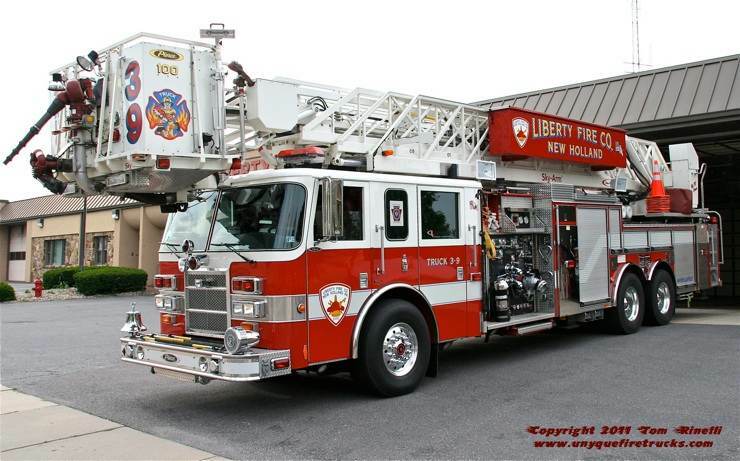 Entering service in the Spring of 2011, this rig replaced a 1993 Pierce Lance walk-in rescue. Equipped with an 8 man cab with a partial walk-in body, it features a 12,000 pound bumper mounted winch, command center in the body, a 30’ light tower and 800’ of electric cord on reels. It’s equipment complement includes a full Holmatro extrication tool system (two spreaders & cutters, three rams) powered by two hydraulic power units (gas & electric), cribbing, three bottle jacks, four hi-lift jacks, a 10 ton porta-power, air bags (126 ton capacity) and air chisels. In addition, it also carries a thermal imager, assorted gas meters (combustible & CO), a Stokes basket, BLS immobilization equipment, an assortment of saws (16” chain, Cutters Edge vent, K12, Partner rotary vent), three reciprocating saws (electric & battery powered), haz-mat diking & patch supplies as well as water/ice rescue equipment (cold water exposure & wet suits, PFD’s & 360’ of water rescue rope). Special thanks to Chief Larry Martin for arranging this visit & Firefighter Kirk Niedermeyer for his assistance in positioning the apparatus for photos. Thanks are also extended to James Resch of YouTube’s “Lancaster Responding” for the updates on these & other apparatus in Lancaster County. 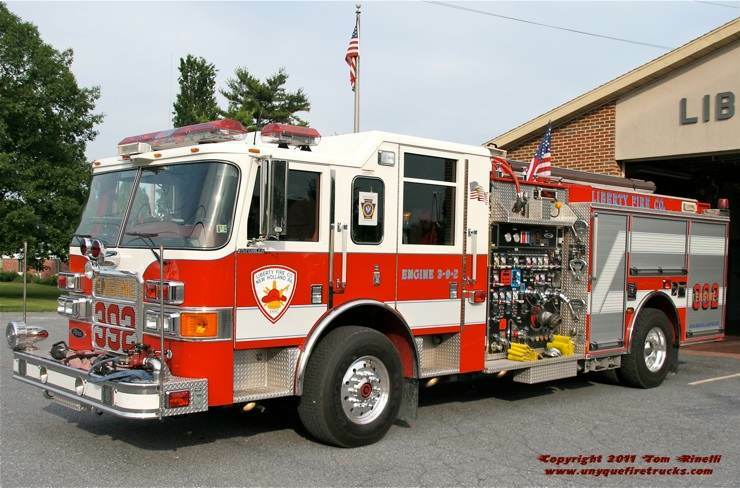 Truck 39 - 2002 Pierce Dash Sky-Arm 100’/2000 gpm/300 gal. Having replaced a 1961 Pirsch 100’ open cab mid-mount aerial, this rig is quite a departure from the hook & ladder wagon purchased from a local builder for $150.00 way back in 1897 when the fire company was organized. A unique feature of this rig is that the platform has a 15’ “jib” on the aerial for extended “up & over” reach. 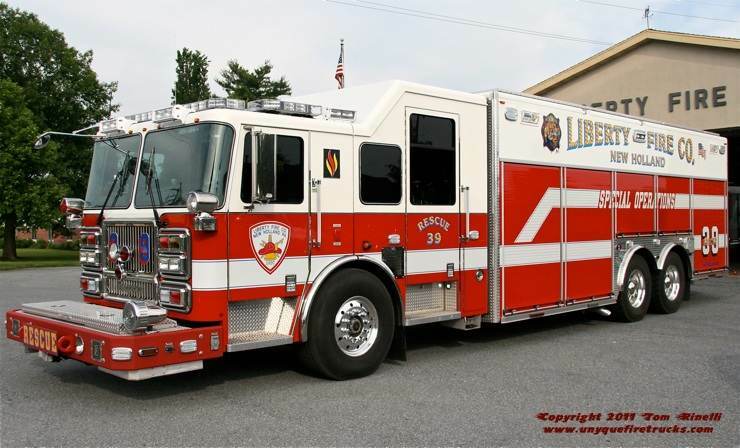 It is equipped with a 7.5KW generator, 500’ of 5” LDH supply line, three pre-connects (150’/250’ 1-3/4”, 200’ of 2-1/2”) & two platform mounted master streams. Its’ equipment complement includes 135’ of ground ladders, three Cutters Edge vent saws, a Partner rotary vent saw, Partner forcible entry saw, two electric PPV fans, two electric smoke ejectors, battery powered tools (circular/reciprocating saws, drill & impact gun), BLS supplies including oxygen & an AED, a chimney fire kit, battering ram, salvage supplies (plastic rolls, lathe, wet/dry vac), assorted meters (combustible gas, CO, 4 gas), a heat gun, thermal imager, 250’ of large area search rope, a Stokes basket, RIT pack, rappelling equipment and block & tackle rigging. Assigned to the West Station, it is equipped with dual bumper attack lines (100’ & 200’ 1-3/4”), three pre-connects (150’/250’ 1-3/4”, 200’ 2-1/2”), a 250’ 2-1/2” “Blitz line”, a 250’ 2-1/2” pre-connected Blitzfire monitor, 200’ booster reel, 800’ of 2-1/2” leader line, 1,000’ of 5” LDH supply line, a Cutters Edge vent saw, electric powered PPV and 48’ of ground ladders as well as a Lil’ Giant folding ladder. 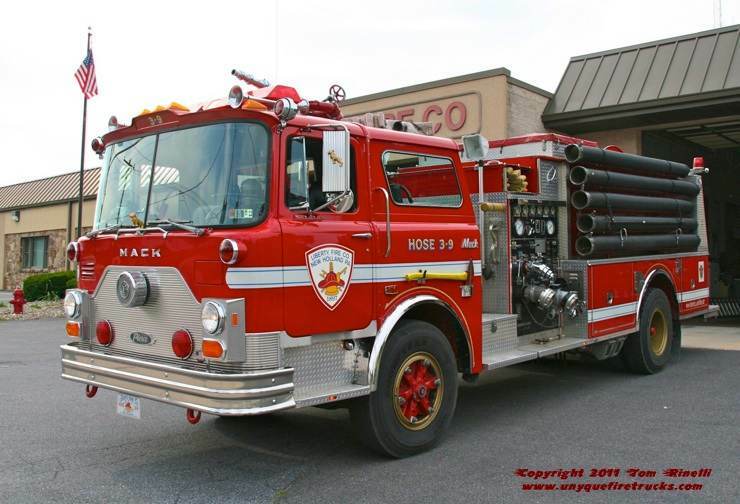 Hose 39 - 1989 Mack CF-700/Pierce 1750 gpm/500 gal. Carrying 2,200’ of 5” LDH supply line (two reels of 1,100’), this rig is also equipped with three pre-connects (150’/250’ 1-3/4”, 250’ 2-1/2”), 500’ of 1” brush/trash line, six hard suctions, two floating strainers and assorted wildfire hand tools. 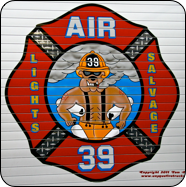 With Hose 39 being sold (with no plans to replace it), the tradition of “hose wagons” in the Lancaster County fire service will come to an end. 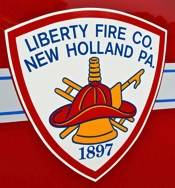 Organized in March of 1897 as The Hook & Ladder Co. of New Holland, the company was renamed the Liberty Fire Co. of New Holland in 1921. 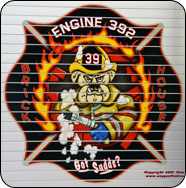 A merger with the Blue Ball Fire Co. in 2013 created Garden Spot Fire Rescue designated as Station 39. 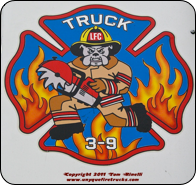 Now operating from three stations, 100+ volunteers (including many from the local Amish community) provide Fire & Rescue protection to a mixed suburban residential/farming community. 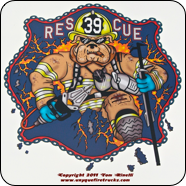 You gotta Liberty Fire Co’s awesome artwork depicting the “Big Dogs” on the fireground! !